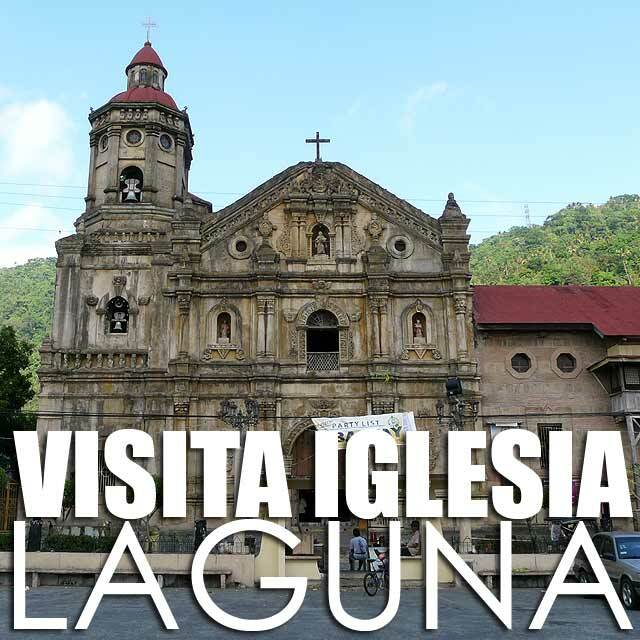 Laguna has a lot of heritage churches and is a good place for visita iglesia. I found myself on the road again last Palm Sunday in Laguna. After speaking at the Rotaract District Conference 2010 in Bay, Laguna, I decided to explore again the Laguna towns along Laguna de Bay since I was there anyway. 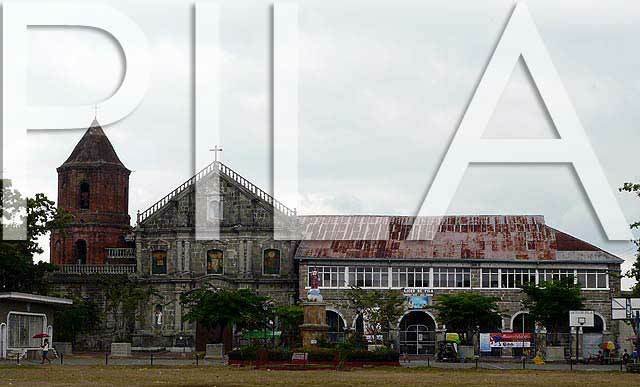 My first stop was Pila, which is Laguna's heritage town and a National Historical Landmark. I'll showcase more of Pila's old houses in another post. Pila Church is dedicated to San Antonio de Padua. 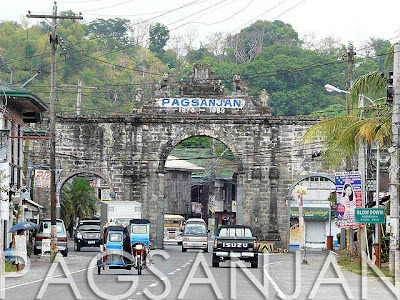 Further down the road is Santa Cruz and Pagsanjan, which has a very iconic welcome arch built during the late 19th century. 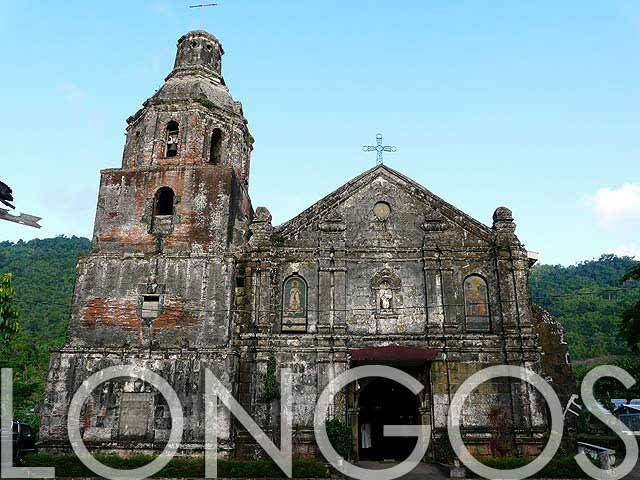 Sadly, the interior of the Pagsanjan Church has been renovated already but the exterior is still relatively intact. Notice also the Spanish colonial casa municipal beside it which is badly painted though. 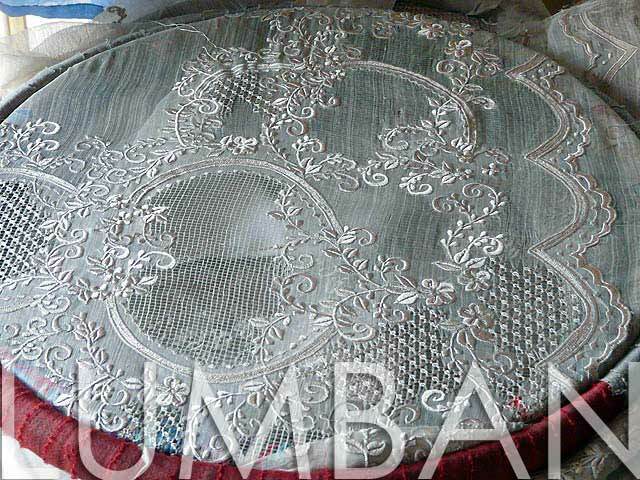 Lumban is a town known for its embroidery. It's a good place to purchase de calado barong and dresses. 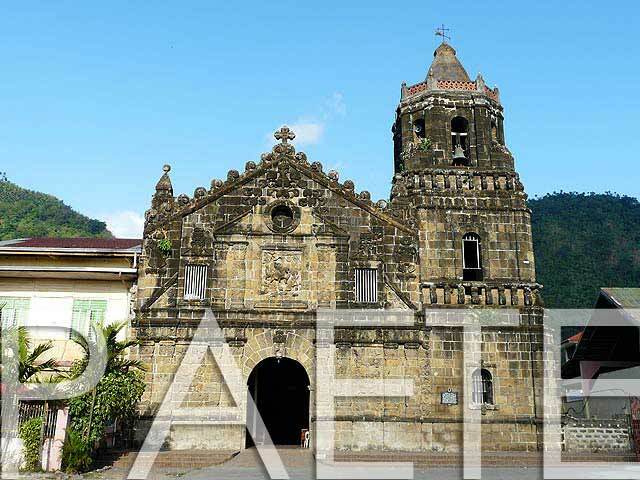 You could also check out the Lumban Church which has a very interesting exterior and convento. But the interior has been renovated as well. After Lumban is the town of Kalayaan. Look for Barangay Longos which used to be the town proper and you'll find the centuries-old Longos Church. It's quite austere compared to its neighbors. But at least the interior is relatively intact. 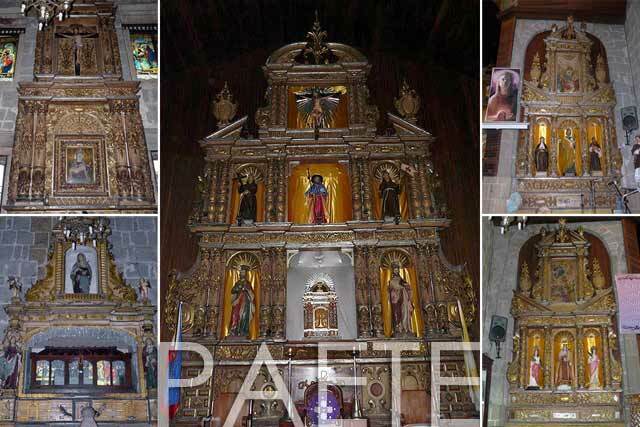 Paete, known for its woodcarving and paper mache, has one of the better churches of Laguna. 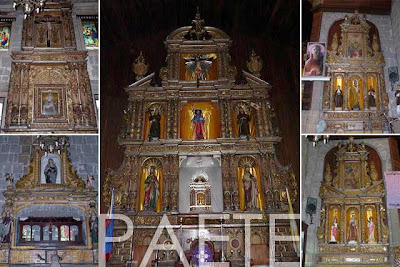 The Paete Church has ornate retablos and several centuries-old paintings near the entrance. The church is dedicated to Santiago Mayor. 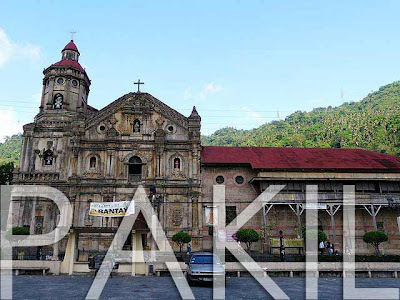 Close to Paete is the town of Pakil, home of the Turumba. 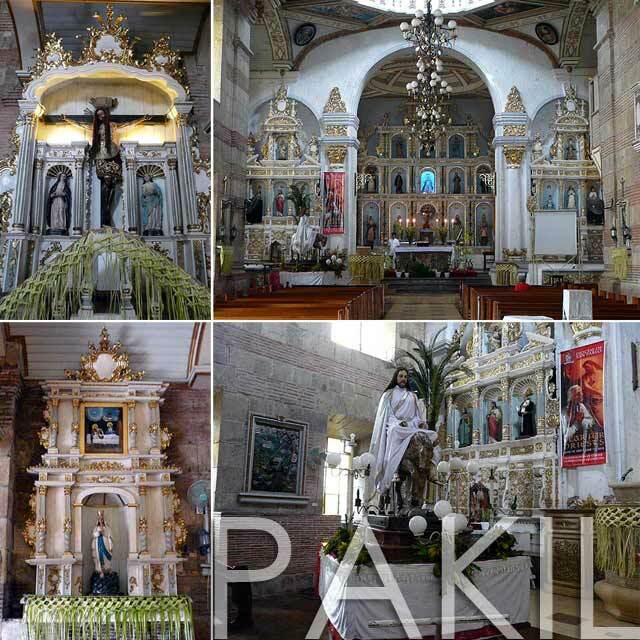 Pakil Church is my personal favorite among Laguna churches, with its grand white and gold retablos and very interesting convent. 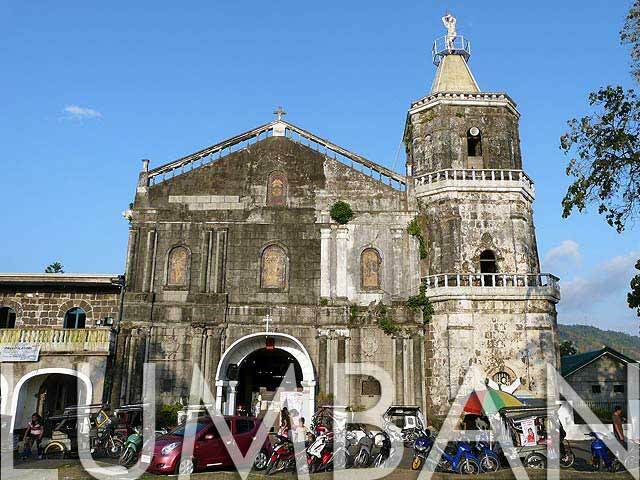 This church deserves to be declared a National Cultural Treasure! 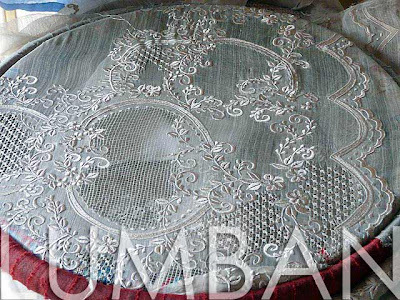 Anyway, the Turumba commemorates the Seven Sorrows of the Blessed Virgin Mary with seven pistang lupi. The first pistang lupi is held on the Friday before Palm Sunday (the first of two feasts of the Seven Sorrows of the Blessed Virgin Mary) and the seventh is done on Pentecost Sunday. During these days, the image of the Nuestra Señora de Dolores de Turumba is borne on an anda and brought around the streets of Pakil in a procession amidst dancing. Other processions are also held aside from the seven pistang lupi, the last being on the third Sunday of September, the second feast of the Seven Sorrows of the Blessed Virgin May. The schedule for 2010 is Unang Lupi (Viernes de Dolores, March 26), Ika-2 Lupi (Fiestang Martes, April 6), Ika-3 Lupi (Fiestang Viatico, April 12 to 14), Ika-4 Lupi (Fiestang Viernes, April 23), Ika-5 Lupi (Fiestang Linggo, May 2), Extra Lupi (Fiestang Pakileñas, May 12), Ika-6 Lupi (Fiestang Pag-akyat, May 14), Ika-7 Lupi (Fiestang Pag-Panaog, May 23) and Domingo de Dolores (September 12). Mass is at 6:30 a.m.
We drove as far as Mabitac. But it turns out, only the belfry of the Mabitac Church is intact since the church on top of the hill is totally new. If you have more time, also visit the Majayjay Church (a National Cultural Treasure), Magdalena Church (the church where blood stains from Emilio Jacinto's battle wounds can still be found), Nagcarlan Church and San Pablo Church. 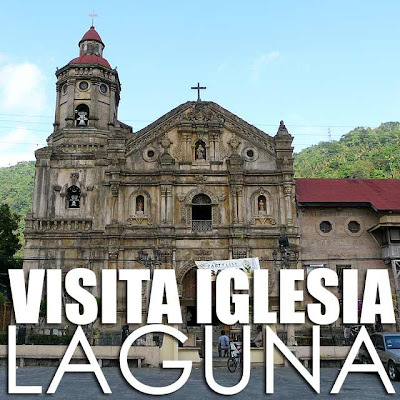 It's good that the upper districts surrounding laguna de bay were able to preserve their old churches... too bad in the 1st district, Binan lost it to fire and earthquake. And in Cabuyao, the town lost much of its ecclesiastical heritage to looters and irresponsible renovations.